What a year 2015 turned out to be. 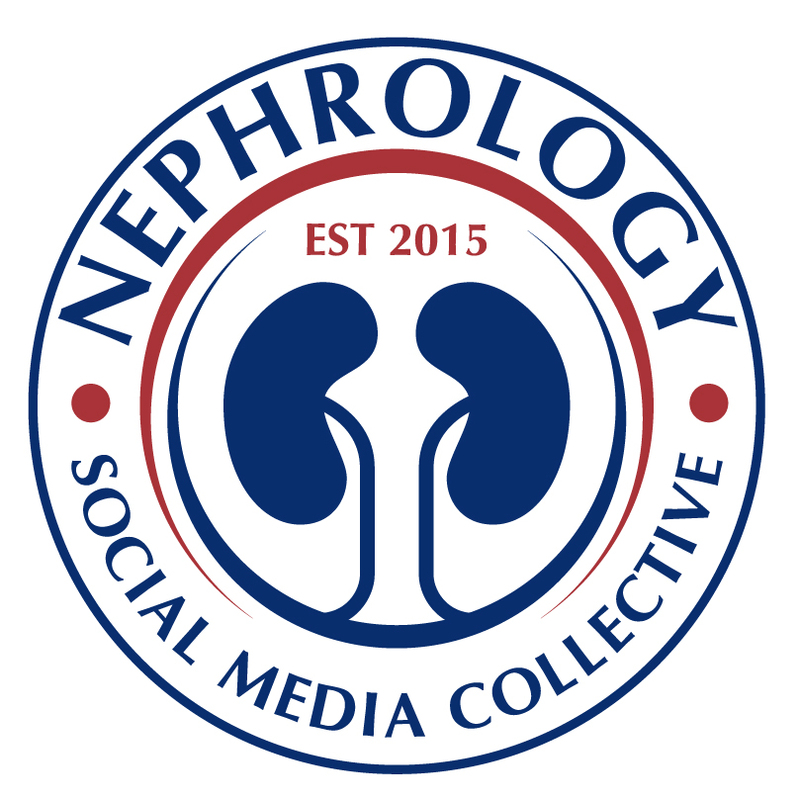 Nephrology social media is beginning to mature with many projects adding to a rich educational experience online. Who needs MOC when you have this! NephJC continues to be one of the most successful online journal clubs in medicine. NephJC is also a great resource to look back at the landmark trials, guidelines and papers. What happened in nephrology during 2015? Without a doubt SPRINT dominated the internet but we also had some good news with kidney endpoints using SGLT2 inhibitors in diabetes. Some familiar faces reappeared (tolvaptan, saline, patiromer, ACEi) and new stories emerged (hep C Rx, SGLT2 inhibitors, IgA Rx). 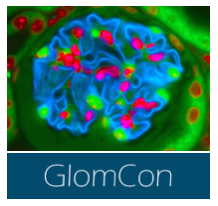 Overall, 2015 proved to be an exciting year in nephorology. Below are links to the last 5 years of the top nephrology stories. Hard to believe that this is the SIXTH year of Top Stories! Maybe we can do a top stories of the decade soon! 10. ACEi in kidney transplant did not modify outcomes reported in The Lancet Diabetes and Endocrinology (22%)- A long held belief in nephrology is that Ang II blockade helps anything kidney related, especially if it has to do with proteinuria. Multiple studies have demonstrated this effect in non-transplanted patients with proteinuric kidney disease. Enter this study by Knoll et al. published in The Lancet Diabetes and Endocrinology. This was a randomized trial performed in Canada and New Zealand where 213 patients with eGFR greater than 20 with more than 0.2g/24 hours of proteinuria were randomized to the ACEi ramipril 5mg BID (104 patients) versus placebo (109 patients) for 4 years. Primary outcome of doubling of Creat, ESRD, or death. The primary outcome was similar between both groups (~17% placebo vs ~14% ramipril). Furthermore, there was no difference in decline of eGFR (sec. endpoint) between the 2 groups. Lastly, there were more AEs in the ramipril group. There you have it. ACEi did not modulate clinical outcomes in patients with a kidney transplant and proteinuria. Maybe this is because the pathophysiology of proteinuria in kidney transplant is not driven by Ang II. 9. C-SURFER trial of anti-HCV Rx in CKD reported in The Lancet (26%)- Just unbelievable what has happened in the world of hepatitis C treatment. Hepatitis C infection was once considered a devastating disease. Treatment consisted of ribavarin and interferon and was awful to take. Patients hated it and to make things worse it only results in sustained virological response in 60-70% of patients. Not to mention the difficulty encountered in offering this therapy to patients with CKD. This all changed in 2014 with the publication of 3 trials demonstrating remarkable efficacy and tolerability of antiviral drugs for hep C treatment (here, here, and here). What about patients with CKD? This was tackled in the C-SURFER study published in The Lancet and reviewed on RFN by Praveen. This study was a randomized study evaluating the efficacy and safety of grazoprevir and elbasvir (GZR/EBR) in genotype 1 HCV with stage 4 or 5 CKD including patients on dialysis (n=224). 76% were on dialysis! The results were impressive. 99% of patients achieved an SVR with minimal toxicity. This is truly a game changer. Can't get through clinic now without seeing a few patients on this therapy now. 8. The approval of tolvaptan (jinarc) in UK and Canada for ADPKD (27%)- The Tempo 3:4 trial was top story of 2012. This trial showed that treatment of ADPKD with the vasopressin antagonist tolvaptan slowed the increased in total kidney volume and the decline in kidney function. The next year (2013) tolvaptan of ADPKD made the top stories list again. This time at number 6 for failure to gain approval from the US FDA. Commonly cited reasons are the lack of hard endpoints (ESRD) and liver toxicity. However, earlier this year Canada (see this post from UKidney) and the UK approved tolvaptan (labeled as jinarc) for ADPKD. We will see where this story goes in the US. 7. SPLIT trial showing buffered crystalloid not different than saline in reducing AKI reported in JAMA (31%)- Another story that came back in '15 was the battle between buffered crystalloid and saline in the ICU. This made an appearance in the 2012 top stories as number 7 (ironically same this year) with a study that rocked the saline world. Again, published in JAMA and showing that fluid resuscitation with chloride restrictive solutions had less AKI and need for dialysis. The battle carried over to NephMadness '14 which featured a massive first round defeat for normal saline. Read this Skeptical Scalpel post on the subject. Enter the SPLIT trial. Both buffered crystalloid and saline were at it again as fluid resuscitation in the ICU setting. The trial was based in New Zealand and had over 2000 patients as compared to ~700 in the earlier paper. However, the results were not the same in these two studies. The SPLIT trial showed that the rates of AKI and dialysis use in AKI were similar between the two groups. Thus, vindicating normal saline, who was starting to earn a bad reputation. Questions still abound in particular to high risk patients. Looks like a win for normal saline this time around. 5. PATHWAY-2 Trial showing spironolactone effective in resistant HTN reported in The Lancet (33%)- Spironolactone seems to be the nephrology darling. Always making a pleasant appearance. Blocking the mineralocorticoid receptor was in full force in '15. The PATHWAY-2 trial did not disappoint. This was a study published in The Lancet and dutifully covered in NephJC that tested spironolactone as add on therapy in resistant hypertension. The study was performed in the UK and was a 1 year double blind placebo controlled trial that pitted spironolactone vs. doxazosin vs. bisoprolol vs. placebo plus usual care. Spironolactone was the clear winner without alot of AEs. Take a look at the NephJC storify which sings the praise of spironolactone. 5. 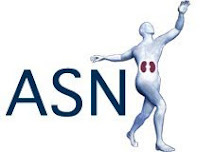 First in-human use of Wearable Artificial Kidney (WAK) for 24hrs presented at ASN Kidney Week (33%)- The wearable artificial kidney (WAK) has been in and out of the nephrology literature over the last 5-10 years. My first introduction to the WAK was by Nate Hellman in 2008. Since the original description in 2007 (spearheaded by Victor Gura) the WAK makes an occasional appearance at ASN Kidney Week. This year the WAK made a splash again. This time the WAK was tested in a group of 7 individuals for a total of 24 hours. Before this the study the WAK was only used for 8 hours. The story made big headlines and was reported on CNN. The results weren't all perfect. 2 of the 7 patients had to stop wearing the WAK because of malfunction. What will happen to the WAK in the future and is the a practical solution to ESRD? We will see what happens next. 3. STOP IgA presented at ERA/EDTA and ASN Kidney Week 2015 reported in NEJM (34%)- For me one of the surprising publications this year was the STOP-IgA trial. This was not surprising because of what it showed but because I was not expecting more data on IgA nephropathy. IgA Nephropathy is one of those diseases riddled with case studies. IgA nephropathy can lead to substantial frustration for both the patient and the physician. There is a subset of patients where immunosuppression (IS) is no doubt warranted such as rapidly progressive kidney decline or in cases of crescentic IgA nephropathy. What is not clear is the middle ground. patients with proteinuria in 1-3g range. What do you do with them? The STOP IgA study was performed in Germany and had a 6 months run in phase consisting of mainly RAAS blockade. About 1/3 of the 309 enrolled patients were excluded because they had a response during this run in phase. This left only 177 patients to be randomized to either supportive care alone or IS (prednisone for high eGFR and cyclophosphamide followed by Aza for 6 months in the moderately depressed eGFR). After randomization they were followed for 3 years. They found that the addition of IS resulted in more patients in full clinical remission. However, there was no difference in the co-primary endpoint of eGFR decrease. In the end, the results indicate that IS on top of supportive care really didn't add much. Check out the coverage at RFN by Andrew McClarey and over at NephJC. More evidence to add to our guidelines. 3. FDA approval of patiromer (veltassa) for hyperkalemia treatment (34%)- This year marked another landmark in nephrology. The FDA approval of patiromer (marketed as veltassa) represents a new era in therapy for hyperkalemia. The makers of veltassa, Relypsa, announced just this week that the drug is now available for prescription. There have been several high profile papers in regards to this drug. However, all have been placebo controlled. The AMETHYST-DN trial looked at patiromer in patient with diabetes and hyperkalemia and showed that over a 52-week time period the drug resulted in decreased potassium levels. Adverse effects were modest and were low Mg, K, constipation and GI complaints. The FDA did issue a box warning because veltassa can bind other drugs thus potentially reducing their absorption. Therefore, it will be crucial to take apart from other medications. Cost remains another hurdle before its widespread use. Lastly, how will the use of these agents affect long term outcomes? Will keeping diabetic patients on their RAAS blockade result in improved outcomes or are me just merely treating a number? Hopefully, we will find theses answers in years to come. For now, at least we are starting to see some research into an area that has long been neglected. Hey, we even saw a trial using kayexalate this year. Go figure. 2. The SGLT2 inhibitor empagliflozin results in improved kidney outcomes presented at ASN Kidney Week 2015 (38%)- Probably the biggest surprise of the year was the kidney (and cardiovascular) outcome data with the SGLT2 inhibitor empagliflozin in patients with diabetes. The cardiovascular outcome data was reported in NEJM earlier this year and they are equally impressive. The EMPA-REG trial was a randomized controlled trial in patients with type 2 diabetes with high cardiovascular risk. The trial consisted of 2 doses of the SGLT2 inhibitor empagliflozin on background of standard care compared standard care alone. ~7000 patients were randomized to the 3 groups. The primary outcome of death from CV cause, nonfatal MI or nonfatal stroke occurs in 10.5% of the empagliflozin group compared to 12.1% in the standard arm. This was mainly driven by death. At ASN the group presented the kidney outcome data (results still not published). These are nicely summarized on UKidney (with figures!). These data are remarkable. At 4 years out both of the empagliflozin groups had preserved eGFR while the placebo group had a fall in eGFR. The data started to diverge by week 94. An interesting point is that the eGFR curves look remarkable similar to ACEi or ARBs in DM with reductions in albuminura to boot. The only major AE was genital infections. I hope we are able to vet all of the data soon. Future NephJC? We also have the CREDENCE study to look forward to which will examine renal outcome with canagliflozin in patients with CKD and DM. Take a look at @neph_spriros storify of the late-breaking clinical trials for even more info. 1. SPRINT Trial presented at AHA and reported in NEJM (65%)- Coming in at number 1 is the SPRINT Trial. This was the most talked about story of the year hands down. 2015 was all about SPRINT. From the premature halting of the trial, to the controversial NIH press release lauding the outcome in the low BP group (before the data was even released), to the eventual presentation at AHA and publication in NEJM. This is all nicely broken down by Swapnil over at NephJC. The study consisted of ~9000 patients (none with DM) who were randomized to either the low BP arm with goal of 120 systolic or the usual care arm of 140 systolic. The SPRINT trial was ongoing when the controversial JNC8 guidelines (the '14 NephMadness champion) were dropped in Dec of 2013. JNC8 was clouded by the failure of intensive BP control (goal 120 systolic) to improve outcomes in patients with diabetes in the ACCORD trial. JNC8 recommend to relax BP goals in certain populations and so the positive result that we saw in the 120 target arm in SPRINT will really tear the JNC8 guidelines apart. The main outcome differences between the two arms were lower rates of fatal and nonfatal major cardiovascular events and deaths from any cause. However, the lower BP group did have more adverse events. Most notably AKI. One of the other interesting aspects of SPRINT is how aggressive they were at controlled BP at frequent visits with multiple BP checks at each visit. Many are already considering this approach in their clinic. SPRINT is a landmark trial that will impact clinical care. Let's hope that we take an individual approach when targeting a BP of 120. This will result in more meds, more side effects, and more AEs. If applied appropriately, SPRINT has the potential to impact patient care. 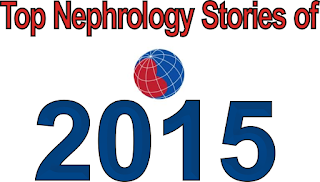 Another busy and exciting year in the world of nephrology in 2015. Thanks to all of the contributors and readers in the nephrology online community for keeping nephrology fun, interesting and educational. Thanks for supporting RFN and happy holidays. Can't wait to see what 2016 has in store! Re: Patiromer, the in vitro DDI studies completed do show binding of drugs. However, they do not, cannot by design, provide data regarding absorption. You are making an unproved assumption in your statement. Only when the in vivo study results are published may we have sufficient data to formulate a conclusion about absorption rate effects. This is taken from the FDA press announcement Re: Patiromer. "Veltassa has a boxed warning because it binds many other orally administered drugs, which could decrease their absorption and reduce their effects. The warning recommends taking it and any other orally administered medication at least six hours apart. The drug must be dispensed with a patient Medication Guide that describes important information about its uses and risks." I do see your point re in vivo testing. Thus, added potentially and linking to the FDA press announcement. Thanks for your comment.